Yes, we really were expected to pull out that hard-boiled egg, cucumber, tomato, celery stalk and other veggies of choice and get to slicing, dicing and cracking. 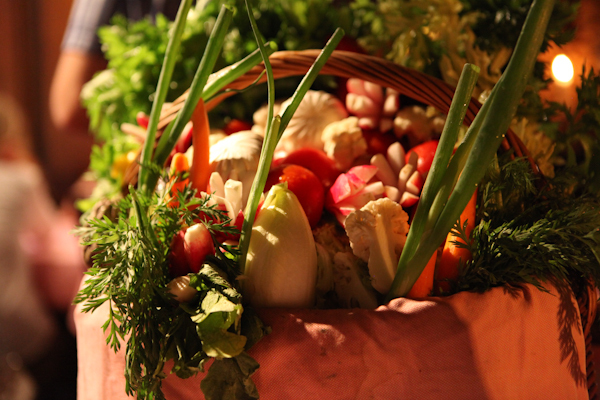 That’s the usual make-your-own-salad drill at Le Maschou in Cannes, France, and we loved it. With gourmet food trucks gaining popularity, I wanted to find out what all the buzz was about. Inspired by an Anthony Bourdain episode on his show, The Layover, I signed onto LudoTruck’s Facebook page to track down its whereabouts. I craved the fried chicken sandwich slathered in béarnaise, honey-glazed garlic chicken wings and lavender biscuits they’re known to expertly prepare. Umami is a Japanese word that describes the pleasant and savory taste imparted by glutamate, a type of amino acid, and ribonucleotides that occur naturally in foods. At least that’s how Chef Adam Fleischman describes it on the website of his Umami Burger chain. Science aside, he is turning the fast-food dining concept into an art form. Even the top bun is branded with a signature U, lest you forget into what you’re about to bite. Scouring my Rick Steves’ Spain guide for good eats in Madrid, I stumbled upon a Madrileno lunchtime staple - fried calamari sandwiches. 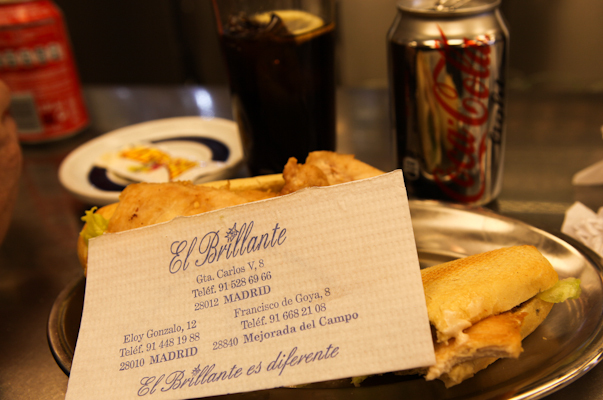 Being a sandwich and calamari fan, I began plotting our day’s activities to end up at El Brillante for lunch.